If New Life is your spiritual home, we welcome your help in serving in some way. Whatever your availability, among New Life’s many ministries you can find a place to help build our effectiveness and unity, and grow in your faith. We encourage you to prayerfully consider where you can get involved. We have 50 activities across five areas of ministry; reaching out, caring, equipping, Sunday support, and weekday support. Some roles require specific technical skills or a certain level of spiritual maturity. Working with children or young people involves a more formal application process, including a Disclosure and Barring Service (DBS) disclosure (previously a CRB check). As circumstances may change, we do not expect you to commit permanently to serving in a particular area. All we ask is that you be as reliable and committed as is possible. If you’d like to find out more about any role, the team serving in that area would be happy to discuss it with you. The many ways New Life is reaching out with the good news of Jesus Christ provide plenty of opportunities to serve in this area. We have more opportunities to hold services in various nursing and older people’s homes. Needed: People to be part of the teams going into the various homes. When: Daytime – frequency depends on the different homes and your availability. A New Life team sharing their faith on the streets of Croydon. Needed: More people to join them. You will be paired with an experienced team member. When: Friday evenings from 8pm, and some Saturday mornings. Over the year, we can run several courses of up to 10 weeks each. Needed: Teams of helpers to set up, prepare and serve food, clear up, and to lead small groups. When: Usually on a Tuesday evening for periods of 10 weeks. We plan to open a local academy for young people aged 14–16 from New Life and our local community.Needed: Help with coaching and administration. DBS disclosure required. When: Alternate weeks. Time and venue to be decided. Our growing programme to distribute Christmas hampers to those in need in Croydon. Needed: Help with administration and fundraising; preparation and delivery of the hampers. When: Year-round and in November–December. Christians from various churches praying for people on the streets of Croydon. Training provided. Needed: People to be part of a team praying in Croydon town centre. When: Alternate or monthly Saturday mornings. Christians from various churches work with St Andrew’s High School to be a Christian presence on the streets as pupils make their way home. Needed: More helpers from New Life. Requires doing a short training course. DBS disclosure required. When: Choice of Monday, Thursday or Friday afternoons 3.15–4.30pm in term-time. Our parent and toddler group attracts many people from our local community. Needed: Help setting up, chatting with and befriending those who come along. DBS disclosure required. When: Weekly or alternate Friday mornings in term-time. We run a number of football teams partly to reach non-Christian young men. We aim to have a good balance of Christians on each team who can be a witness to the other players. Needed: If you like football and can play to a reasonable standard we would love you to get involved. When: Saturday afternoons, from May–September but you can join at any time. Our Jam Team visits various schools in Croydon to take assemblies, lessons, lunchtime clubs and after-school clubs. Needed: People to help with administration, preparation and to visit schools. When: Various times Monday to Friday. Christians from various churches go out on the streets of Croydon in late evening to be a Christian presence. Training provided. Needed: More people from New Life to join the Street Pastors teams. Requires doing a training course. When: Friday evenings from around 9.30pm–2.30am once a month. Our club for children aged 4–11 from our local community. Needed: Helpers to run the children’s programme and host the parents’ ‘chat room’ during Going Bananas. DBS disclosure required. When: Weekly or alternate Tuesday evenings 6–7.15pm in term-time. We host a weekly Zumba fitness class for women. Needed: Christian women to help host and build meaningful relationships with those who attend. When: Mondays 7–8pm, choice of helping every week or alternate weeks. A lot goes on at New Life during the week with growing numbers of areas for serving. Help with all aspects of New Life’s communications. Particularly with graphic design,website management experience or other relevant skills. When: Depends on your availability and jobs to be done. Help keeping the outside of the premises clean of rubbish and doing gardening. When: A few hours every week or fortnight. Needed: Help with hospitality and catering at special events New Life organises. People willing to offeraccommodation in their homes for guests who may be visiting New Life. Help to organise and run conferences and other special events at New Life, such as administration, setting up rooms. When: Up to four events a year. All kinds of administrative tasks need to be done each week, such as typing, photocopying and filing. Needed: Helpers who can make a regular commitment. Needed: Gap year or college students with spare time to help as interns in different areas of the church. Work with children or young people involves a more formal application process and also requires a DBS disclosure. Needed: Both skilled and unskilled volunteers to help New Life’s centre manager with upkeep of the centre. When: Depend on your availability, but on a regular basis, e.g., a few hours every week. Needed: Help looking after New Life reception and answering the phone. When: Various times, Monday – Friday, 8.45am–4pm. As a church we have a special responsibility to care for and look after our church family. Several areas offer opportunities to do this. A team holding mini services in homes of our people unable to get out on Sundays due to age or health. Needed: Musicians, singers and those just with a caring heart! When: Evenings, once or twice a month. church family whose children have significant additional needs. Needed: Help with refreshments and childcare. DBS disclosure required. Needed: Help caring for children up to age three during Sunday morning services. DBS disclosure required. When: One Sunday morning service, one week in four. Assist the elders in pastoral ministry to visit, encourage, support and strengthen New Life members. Needed: Pastoral helpers to visit individuals. Short training course provided for those selected. A team supporting children with additional needs at New Life. Needed: Help with the children and young people aged 3–17, their families, and activity workers. DBS disclosure required. When: One Sunday morning service, one week in four. Or other events at New Life.  Various events for New Life men –to build relationships and encourage discipleship among them. Needed: Men to help develop the ministry and organise events. Praying for people and talking with those who come forward in meetings. Needed: Mature Christians. Short training course provided.When: Some Sundays at morning and evening services, and at special events. New Life people available for urgent prayer support in emergency needs. Needed: People to join the teams. When: Daytime or evening teams. Craft club for women aged 16 plus as opportunity to build friendships. Needed: Women to help organise and run the sessions. When: First Saturday afternoon of the month. New Life women’s activities, includes monthly Saturday morning breakfast. Needed: Women to help plan and organise the activities. When: One Saturday each month, and other one-off events. Needed: Hosts for home groups. Equipping and discipling people of all ages and backgrounds is a big responsibility. We have several opportunities to get involved in this key area. Our child care programme for ages 4–11 at the 6pm Life service. Needed: Help to organise and run the programme – working alongside experienced children’s workers. DBS disclosure required. When: Sunday evenings, one week in four. Our Sunday morning programme for children and young people aged 3–18. Urgently needed: Leaders and helpers to work with the various age groups. DBS disclosure required. Our periodic discipleship course for those wanting to grow in their Christian faith. Needed: Leaders and speakers –especially in 20s and 30s age range. When: Tuesday evenings, usually for six- to eight-week periods. Our ministry to boys and young men aged 11 and over at New Life. Needed: Men of all ages to help run sessions and disciple those who attend. DBS disclosure required. Programme for young people connected to New Life aged 11–18. Needed: Help supervising activities, leading small groups and generally helping out. Training provided.DBS disclosure required. When: Alternate Friday evenings, 7.30–9.30pm in term time. If you believe God may be calling you to one of these areas or isdeveloping you in a particular direction, we would be interestedto discuss this with you. Our support network for girls and young women aged 11–18 at New Life, to help know their value in God. Needed: Women of all ages to help organise and run activities.DBS disclosure required. When: One Sunday morning service, one week in four, and other one-off activities. Needed: Skilled instrumentalists and vocalists to join worship teams. When: Sunday services and at other events, depending on your availability. Hundreds of people ensure our Sunday services run smoothly –many vital behind-the-scenes teams need more help. Needed: Helpers to keep building clean in Sunday morning services. When: First service team from 8.15am. Second service team until around 1.30pm. One week in four. Needed: Help setting up chairs. When: Sunday evenings, 5–6pm one week in four. Needed: Help greeting people and handing out the Lifelines bulletin. When: One of the three Sunday services, one week in four. Needed: Help welcoming people at Sunday evening Life service and serving refreshments. When: Sunday evenings, from 5.30pm, one week in four. Needed: Help serving refreshments for new people at the end of both Sunday morning services. When: One Sunday morning service, at either 11.00am or 1pm, one week in four. Needed: Help arranging flowers for the main hall on Sundays. When: One Sunday morning,every six to eight weeks. Needed: Technical crew to help with sound, audio visual and podcasts. Training provided. When: One week in four, depending on your availability. Needed: Help welcoming visitors at Sunday morning services and dealing with enquiries at the Welcome Desk and in Welcome Lounge. When: Sunday mornings, 9.30 and 11.30am, one week in four. Needed: Help transporting elderly people to morning services. When: Usually one week in four. When: 8.30am Sunday mornings, one week in four. Needed: Help to ensure people park safely and legally. When: One Sunday morning service, one week in four. Possibly up to 30 minutes before or after the service. Needed: Help ensuring people are seated and cared for at Sunday services and other events. Needed: Help giving out communion and taking up the offering. When: One of the Sunday morning services, around one week in four.